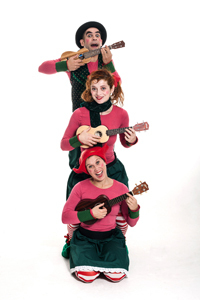 A trio of comic Christmas Elves presenting a new Christmas walkabout act. 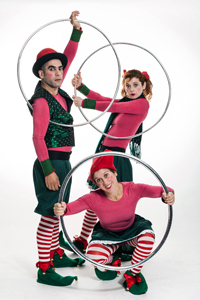 Daniel Rejano and Francesca Martello have been working together in different projects for many years and also performed in Covent Garden. 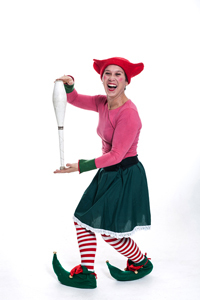 Marcella Manzilli is a successful clown who has performed internationally, working for many years with No Fit State. 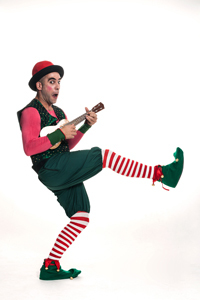 The Elves are all very experienced at rolling around & being jolly and want to spread the joy of Christmas far and wide.